This instrument is now fully playable after restoration. The top is sound with 2 shrinkage repairs. 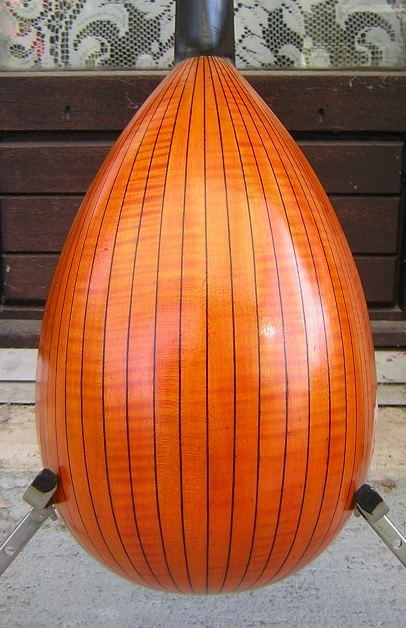 It has a superb 24-piece flamed maple bowl back with no repair. It has the original domed rosewood fingerboard and re-levelled brass frets. The tuners and tail are originals, the rosewood bridge new. It has been refinished throughout but with shellac and Tru-oil. It has been restrung with ultra-light GHS bronze wound classical strings, and is now playing well with a bright ringing sound with good sustain and volume. It has an easy playing action. Other than cleaning, I have repaired as follows… 1) repaired a split in the top; 2) made and fitted a new arm guard; 3) refinished throughout with shellac and tru-oil varnish; 4) replace the missing head decoration; 5) levelled the original frets; 6) repaired a split in the head; and 7) strung and set up. 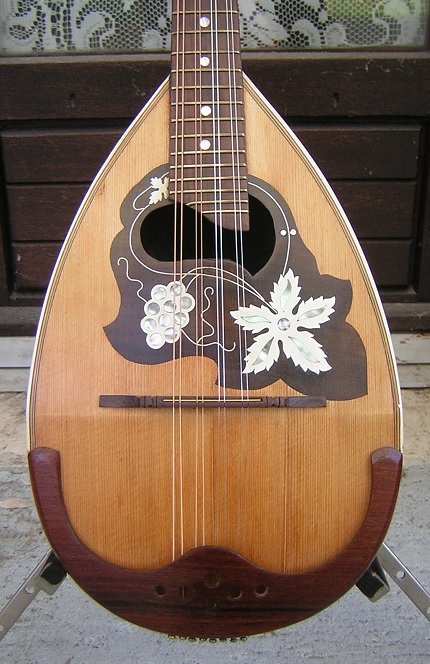 The mandolin was refinished throughout. Close-grained, book-matched spruce top, with 1 shrinkage repair, and a repair to the centre join. Stained flamed maple back, and sides. Single-piece triangular neck and head in good condition. A split in the head was repaired. Snake-head decoration is new. Original domed semi-concert f/b with 22 original re-levelled frets. Original nut. Position markers at 5, 7, 10, 12, 15 and 17. Original tuners and buttons. All working. 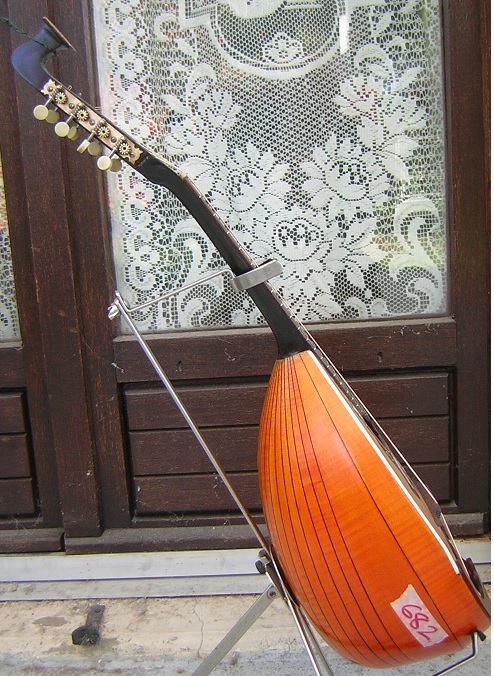 Steel tail, with 8 brass string posts. New rosewood and brass bridge.